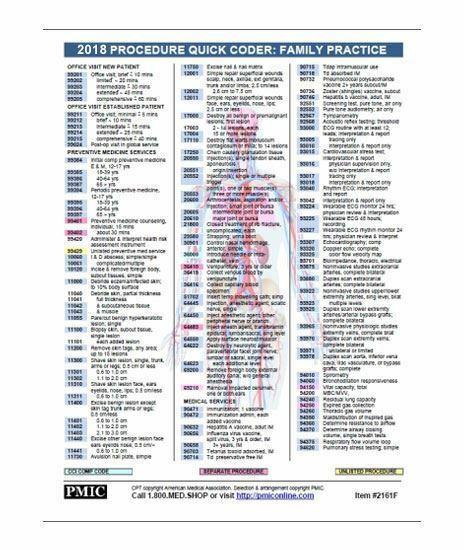 Each Procedure Quick Coder includes the CPT and HCPCS codes reported by the selected medical specialty based on an analysis and ranking of over 600 million actual charges. Includes approximately 300 of the most common procedures reported by the specialty. Printed on heavy stock and laminated with rounded corners for maximum durability.